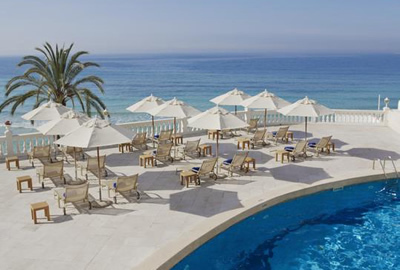 Mallorca is well known for its great cycling accross the island and during the winter and into spring, most of the professional cycling teams use Mallorca as a training base proving that they believe Mallorca offers some of the best cycling in Europe. 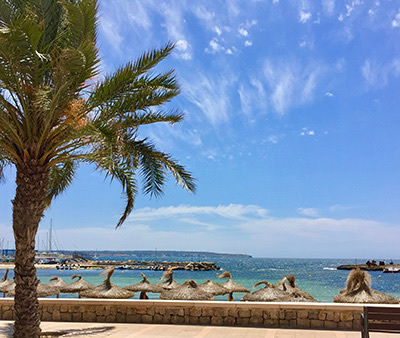 On a beautiful sunny morning in Palma de Mallorca, what better way to get a feel for this vibrant, cultural and cosmopolitan city than to hire bikes and cycle along the stunning palm tree lined Paseo Maritimo? 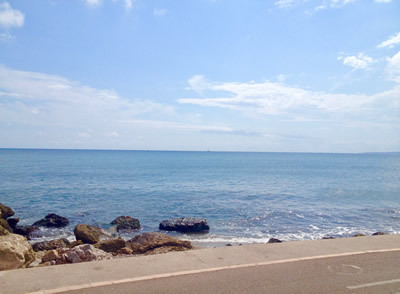 Yachts set sail from the Marina and cross the panoramic bay of the ocean as far as you can see, whilst the Serra de Tramuntana mountains begin to reveal themselves behind you in the distance. 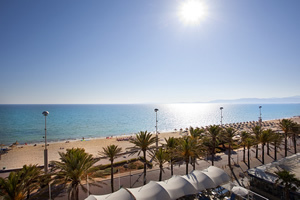 Travelling along the immaculate palm tree lined path the long stretch of the City beach starts next to the Anima beach bar and ends near the Nassau restaurant towards Portixol Marina. If looking for refreshment ...keep going to the lovely bay of Portixol or Molinar for a selection of welcoming bars and restaurants at reasonable prices. 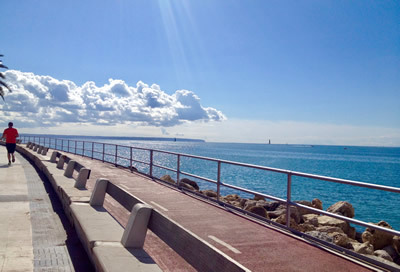 Cycling into this former fishing village known as El Molinar, you will find the pretty Portixol beach and one of the city's coolest districts’, with stretches of converted fishermen’s cottages and a selection of stylish, restaurants and bars over looking the ocean, coastal promenade and cycle path. 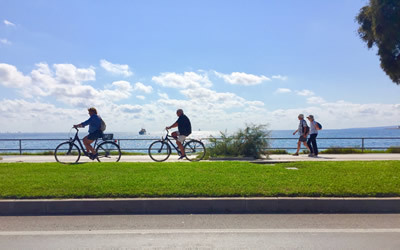 Roller bladers, segways and cyclists all glide alongside the coastline path here before you have to navigate a few narrow corners (18.19mins) passing runners and beach goers, before Cala Gamba, a quieter harbour village dotted with fishermen ...make it up to the end of the bay and you will find shaded seating canopies and a juice bar (22.31mins) and take in the panorama with stunning views back to Palma. Don’t be too put off by any approaching aircraft as considering they fly over you, it is still a stunning beach board-walk and makes for a great route through rocky crags until you rejoin the coastal road and on to the bay of Cala Estancia. 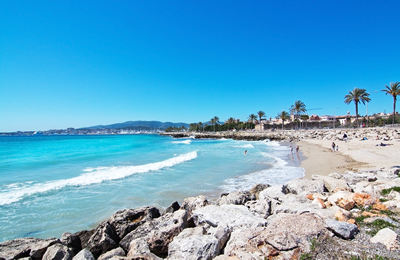 A lovely little bay lined with restaurants, bars and cafes. 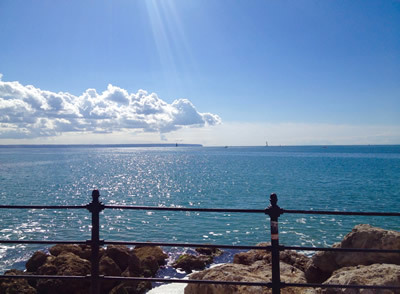 To the right as you enter there is a small bike rack on the right outside of one of the cafes, take a stroll along to the end of the boardwalk for views of the ocean, watch people fishing, sailing and paddle boarding. There is a mini supermarket here along the front. Turning the corner at the marina end of Cala Estancia along side the main seafood restaurant, you turn onto a more larger scale tourist avenue as you cycle on and down on to the large sweeping expanse of Playa de Palma, where you can watch the kite surfing and where the bike path comes to an end. 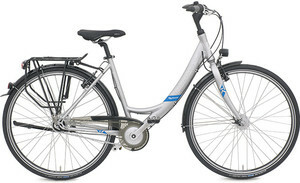 Very helpful and convenient for the city centre, with Ebikes, City, MTB, Trekking and Road Carbon adult bikes and a range for children, including helmets, trailers and child seats. 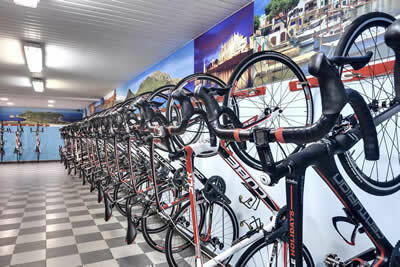 Nano Bicycles is open everyday, bikes can be delivered to your hotel or holiday apartment. 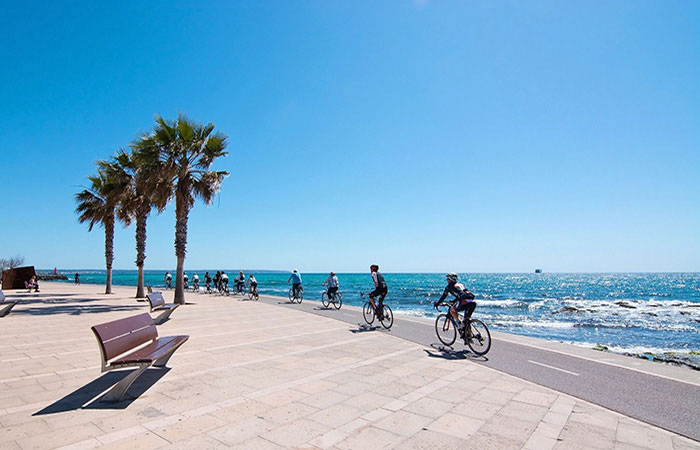 NANO Bicycles offers 10 different city tours around Palma including city tours, beach tours, tapas tour, night tour and 100km road tour. All available 365 days a year, summer or winter, autumn or spring! 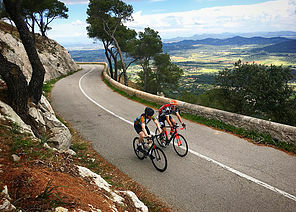 They also offer personalised bike tours for groups and individuals. 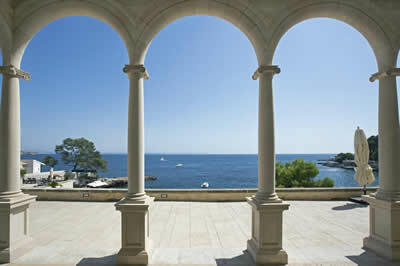 Their experience and knowledge of this city and cycling will make your stay! 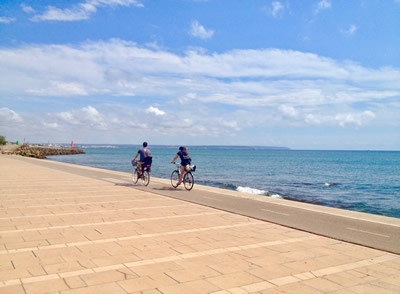 More than 150 Bikes to get around Palma and along the Beach and Marina Bike Path. 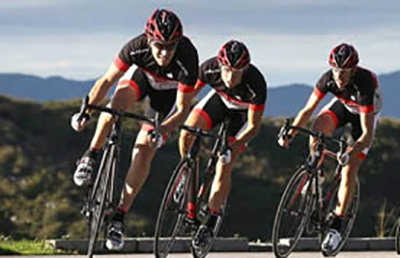 No extra insurance or 24h charges that you might get from other bike rental companies. 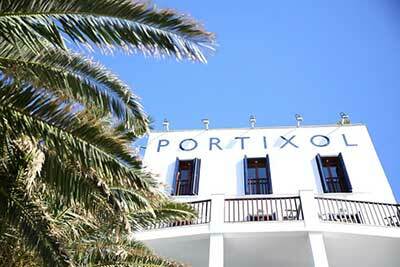 Located in Palma city centre, at Plaza de España, inside the Bus and Train "Intermodal" Station. 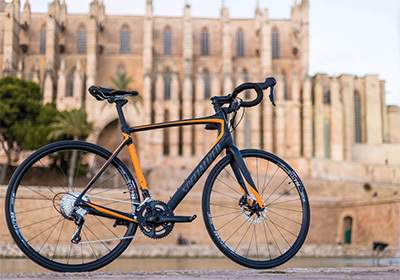 At Palma on Bike you can rent all kinds of quality bikes to suit your needs: city, trekking, mountain, road… to ride your bike around the Palma city and surroundings, pedal past the old wall, cathedral and along the bike path that runs along the Bay of Palma. 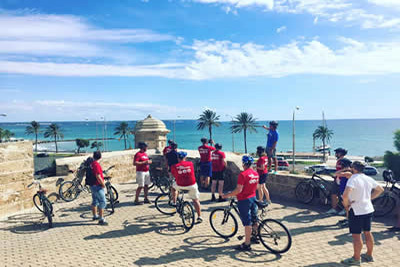 Palma on Bike also offer multiple city tours including a cycle and tapas tour, team building and even a cycle and kayak tour. 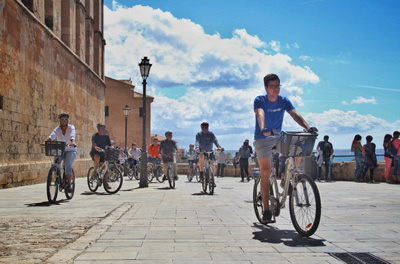 Cultural bike tours in Palma give you the opportunity to connect with a local guide while cycling in the historical and beautiful city of Palma de Mallorca... With 2 shops, one in the port and one in the centre. 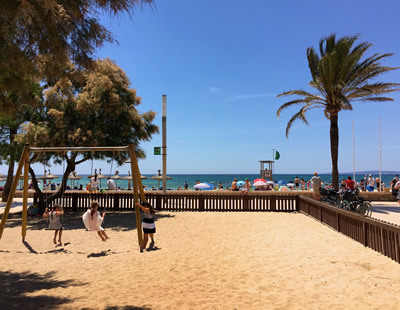 All types of bike rental, Ebikes, trekking and race bikes...tours including a cycle and tapas tour, team building and even a cycle and kayak tour. 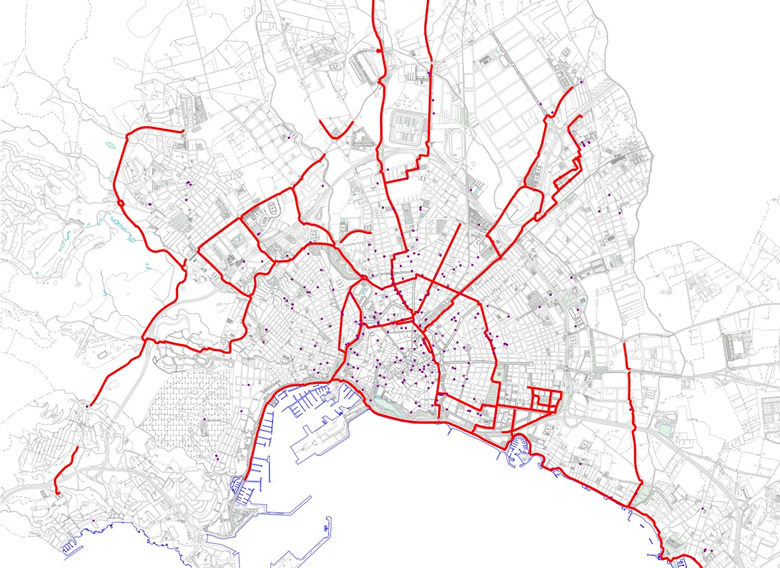 EMBAT CICLOS offer 6 different tours from 80km to 125km. 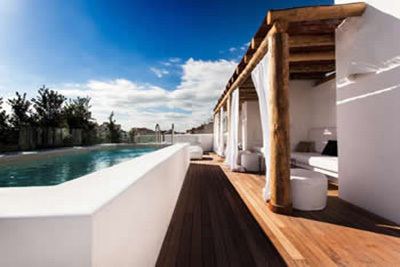 Hotels with inside secure storage. Some have a special menu for athletes as well as treatments and massages. There are cycle packages available, somehave a workshop/bicycle repair shop.